Platinum eternity ring with over one carat of round brilliant-cut diamonds set in our dramatic “grand panier” setting with comfortable curved interior. 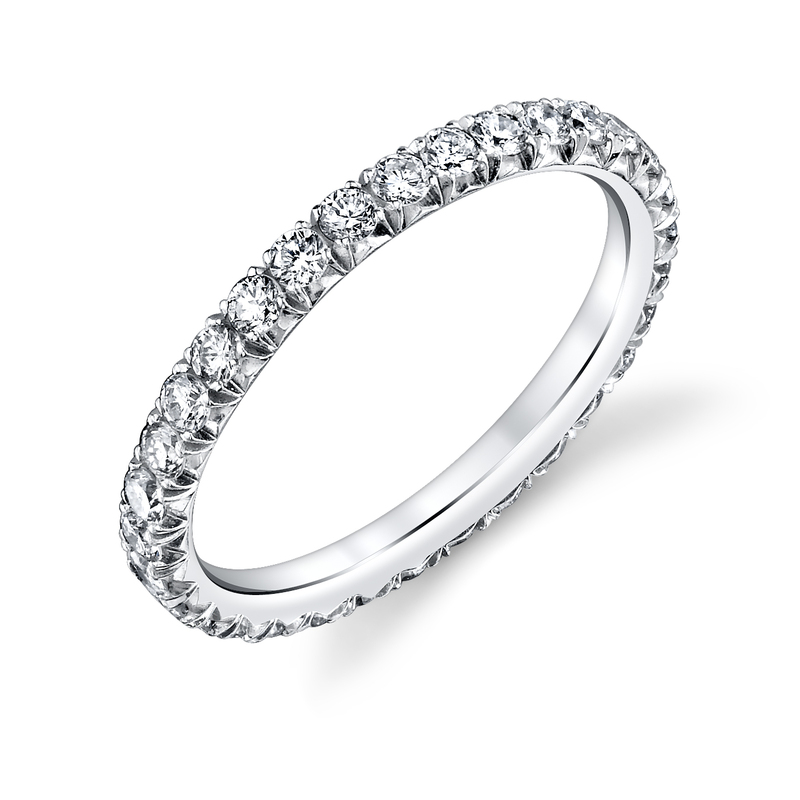 Please note price and diamond weight is for our 2.5 mm wide, size 6 version of this ring. Please contact our concierge for pricing and carat weight in other sizes and widths.